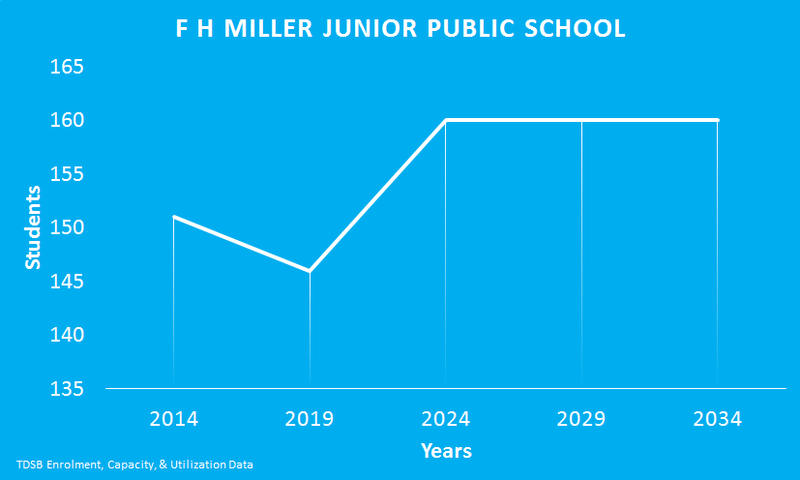 The TDSB projects that F H Miller Junior Public School’s enrolment will decline, but then begin to grow again in five years. F H Miller Junior Public School is part of the Model Schools for Inner Cities program. The school also offers English as a Second Language and Home School programs.